But it’s one thing to say, make a beer out of vaginal yeast (still not sure if that is real or not) as a novelty, and an entirely different thing to make a weird beer that is actually good. So without further ado, here are a few weird beers that may seem insane at first, but will actually surprise you with how drinkable they actually are. Weird ingredient: Let’s get this out of the way right now, it’s whale testicles. But not just any whale testicle, sheep dung-smoked whale testicles from a Fin-whale. 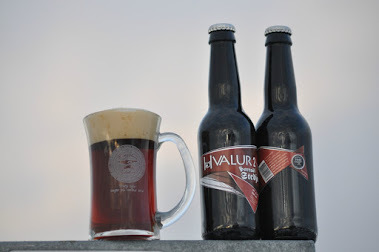 Taste: I was handed this beer after some friends went to Iceland. I wasn’t told about the weird factor until about half-way through, and to be honest I could taste a little odd saltiness to the ale. But the reality is, even after knowing what was in it, I still finished the bottle. Verdict: Once you’re past the “ick” factor, a well made amber ale. Weird ingredient: So you read the first and said “man those Icelander’s are nuts! We’d never drink anything like that in North America.” Well you’re right; we don’t have whale testicles, we’ve got bull testicles, 25 pounds of them to be exact. Taste: This is a bold stout. Exceptionally viscous with a rich brown/black color, a balanced mouthfeel and deep flavors of chocolate, espresso and nuts (no pun intended). Verdict: Apparently testicles are good for beer, this is one of their best seasonal releases. Weird ingredient: Moving on from testicles, next up is pig. This porter is brewed with real smoked pig heads and bones. Taste: This beer legitimately put Right Brain on the map. Honestly it tastes exactly as advertised, it’s like drinking smoked pork or liquefied bacon. Verdict: Fan of bacon? You’ll be a fan of this beer. Weird ingredient: Stepping away from animal parts for the moment, this stout is brewed with fresh kelp from the Pacific Ocean. 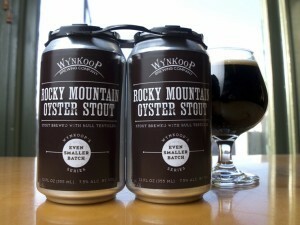 Taste: Apparently stouts and porters are forgiving with weird ingredients. Notes of chestnut, chocolate and of course salt are present, making it a very umami like beer. Verdict: A strong salty stout that will make you think of the sea. Weird ingredient: According to the Seefurth’s, who started as homebrewers, it’s an entire margarita pizza put into a beer. Taste: This should come as no surprise but it tastes exactly like pizza. Notes of oregano, basil, tomato and garlic are heavily present. Verdict: It’s a beer that is a pizza, man if it isn’t an amazing time to be alive. Just don’t drink more than one.